Supplied To Order Only - Please allow 28 days From Point Of Order re Delivery. This awesome cdj stand will hold any table-top cdj, most mixers, up to a 17 laptop or even an effects module. Stylishly designed to keep all units in optimum positioning, the wing stand allows you to dj unhindered, regardless of set-up and combination. With your equipment raised, and presented your decks will become a centre of reverance presented in all their glory and turning your home dj workstation into a club worthy booth. Manufactured in steel, with a solid one-piece construction, the wing stand requires no assembly, so rigidity and sturdyness is assured. Yet, this stand is lightweight, has a very small footprint, and rests firmly on any flat surface so it is ideal for use in venues or studios, adding a touch of class to any dj booth. 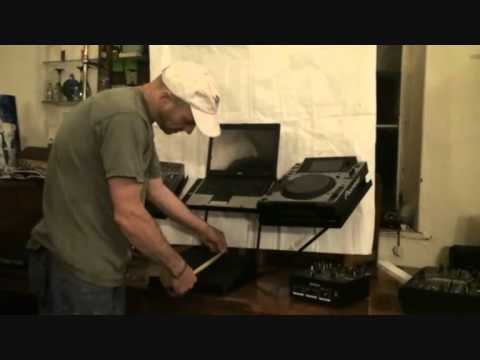 Considering purchasing the DJ Standz Wing Stand Pioneer CDJ & DJM Stand? Have questions? Ask people who've recently bought one. Do you own the DJ Standz Wing Stand Pioneer CDJ & DJM Stand? Why not write a review based on your experience with it. Amazing stand for any Pioneer kit or even controllers! I like this product very much, looks good and delivered quickly! great buy but I think I might need a bracket to stabilize it. 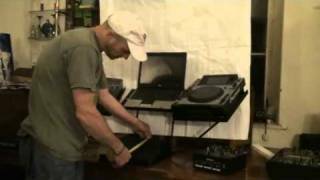 Seen a video for DJ Standz Wing Stand Pioneer CDJ & DJM Stand online or have you own video? Check out DJ Standz Wing Stand Pioneer CDJ & DJM Stand on DJkit.com!